Gingerbread is a sweet that can be used to make cakes or cookies, the predominant flavor in both being ginger. When made into cookies, gingerbread can be made into crisp cookies (often called "ginger snaps"), or soft cookies. The cookies are usually cut into shapes, particularly gingerbread men. Gingerbread houses can also be made from gingerbread. 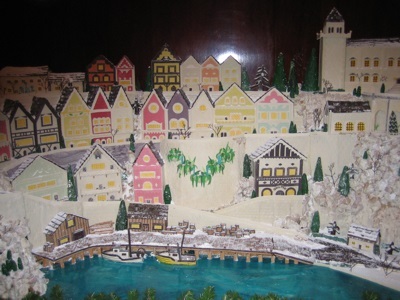 These are covered with candies and icing, and are a common form of Christmas decoration.